Four environmental groups, including two from North Carolina, are suing the Federal Highway Administration over its sudden suspension of key greenhouse gas rules. Those rules would have required states to track and reduce pollution from cars and trucks — a major source of greenhouse gases that contribute to climate change. Clean Air Carolina, based in Charlotte, is being represented by the Southern Environmental Law Center in Chapel Hill, the Natural Resources Defense Council and US PIRG. The groups filed their lawsuit in U.S. District Court for the Southern District of New York. The suit asks the court to invalidate the suspension, meaning that the pollution standard would go into immediate effect. The reversal is emblematic of many of the Trump administration’s rollbacks of Obama-era rules. Under President Obama, the FAST Act and MAP-21, required the Highway Administration to make several rules. One of them mandated that states measure and reduce levels of carbon dioxide emitted from cars and trucks, which generate most of the pollution in the transportation sector. The purpose of the rule is to curb carbon pollution from these sources, which have surpassed electricity-generating power plants as the greatest source of greenhouse gas emissions. Under the rule, states must report their carbon dioxide emission totals and submit targets for reducing them to the Highway Administration. Bu in January, two days after the Highway Administration issued its final greenhouse gas rule, Donald Trump was inaugurated. It was on that day that then-and-now-exiled White House Chief of Staff Reince Preibus issued a 60-day freeze on all rules that had been published in the Federal Register but had not gone into effect. Hundreds of rules were left in limbo, including the one governing greenhouse gases. Sixty days passed, during which time the Highway Administration twice postponed the date for the rule to become effective. In May, the agency suspended the rule altogether. It gave no public notice about the revocation of the greenhouse gas standard, nor did it solicit public comment — which the plaintiffs argue, violated the Administrative Procedure Act. In their complaint to the court, the plaintiffs argue that under the APA an agency must provide public notice and allow public comment prior to formulating, amending or repealing a rule. Suspension of a rule’s effective date “is tantamount to amendment or repeal of the rule. Such suspensions must therefore be preceded by notice and comment,” the complaint reads. Transportation is the largest single source of carbon pollution — representing more than a third of all U.S. carbon emissions. (2017 is on track to become the second-hottest year on record, a byproduct of climate change caused by global increase in greenhouse gases.) 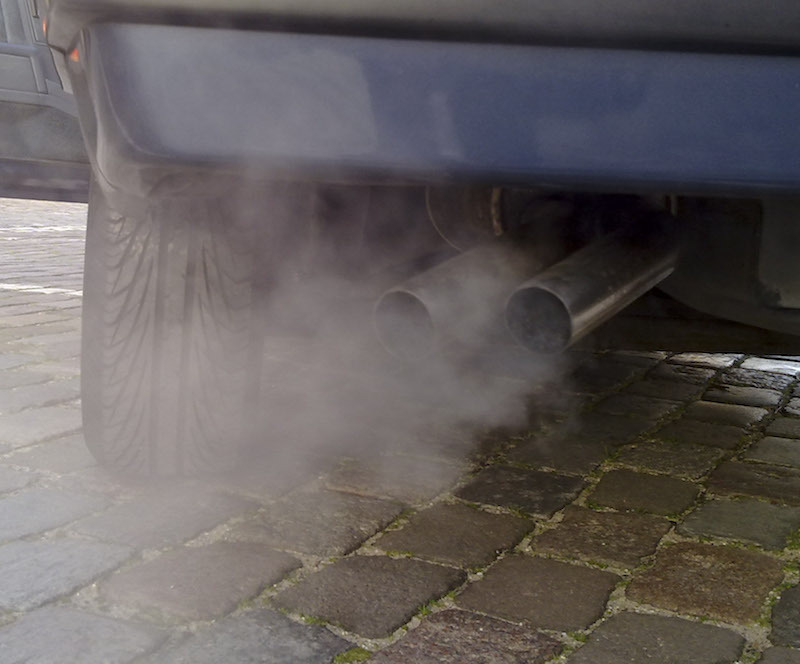 On-road vehicles are also responsible for 38 percent of US emissions of nitrogen oxides and 14 percent of the nation’s emissions of volatile organic compounds, which in turn contribute to the formation of ground-level ozone, commonly known as smog. Because of their large numbers, passenger cars and light trucks generate most of the carbon dioxide in transportation. Fuel economy, mass transit, even urban planning could significantly reduce greenhouse gas emissions. Semi-trucks rank second in carbon pollution. A 2007 NC State presentation to the EPA forecast that improvements, such as anti-idling rules and lighter loads, could reduce carbon emissions from 18-wheelers by 28 percent.